The John Mayer Trio plans to hold their Annual Holiday Revue on December 29th at the Copley Symphony Hall in San Diego, California. Mayer will be playing Grammy Award-Winning hits to a full house, and special VIP packages can be purchased through Tickets-for-Charity. Each package includes a front row seat, meet-and-greet opportunity, and supports some of the world’s most respected charities, including Military Outreach Ministry Camp Pendleton (www.momcp.org) and NCIRE - the Veterans Health Research Institute (www.ncire.org). 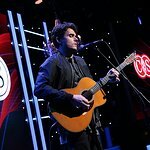 John Mayer recently released his newest album, Battle Studies. 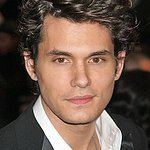 To find out if he’s coming to your town, check tour dates at www.johnmayer.com.